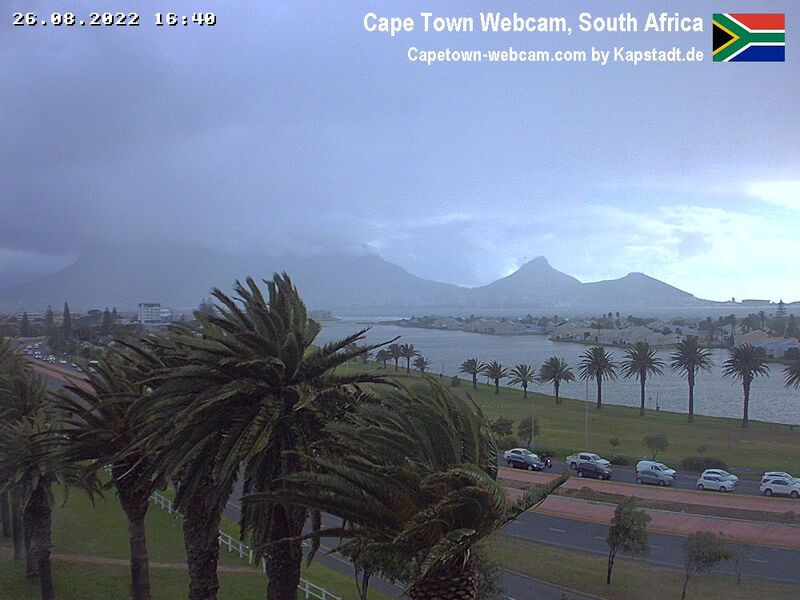 Live webcam shows the Table Mountain in Cape Town in South Africa in real time. Cape Town is the second largest city of South Africa located in the southwestern part of the country. Cape Town is the most visited city by tourists in all of South Africa, here there is many sights, such as the Cape of Good Hope, Cape Point and the Table Mountain, which is a symbol of Cape Town. The Mountain rises above the city on one kilometer and creates a beautiful landscape, with the sea opens a beautiful views on the city and the mountain. The Table Mountain even depicted on the flag of Cape Town, as well as in honor it was named of the constellation in the Southern Hemisphere. Near the Table Mountain there is world-famous peaks, it is Twelve Apostles Mountain, Devil’s Peak and Lion’s Head. Today the Table Mountain is the major tourist sight of Cape Town, cableways leads on its the top. Views: 945 | Insert at: 26.11.2016 | Commentaries: 0 | I want to there!